GIMP, an open-source image editor, is a best Linux alternative to Adobe Photoshop. 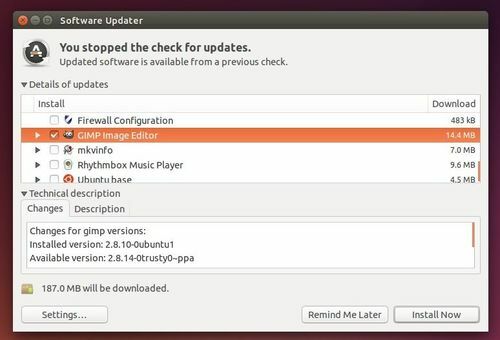 GIMP is available in Ubuntu Software Center, but Canonical doesn’t provide future updates for the software. So far, Ubuntu 12.04, Ubuntu 14.04, Ubuntu 14.10, and Linux Mint 13/17 are supported. Thanks to otto-kesselgulasch, the guy promises to maintain the PPA with most recent packages as long as he lives. Or search for GIMP and install it in Ubuntu Software Center for the first time.